UBEC's (Universal Battery Eliminator Circuit's) are simply DC to DC step down voltage regulators! This UBEC is perfect for the Raspberry Pi, as it's able to take high voltages (5.5V up to 26V), and outputs a consistent safe voltage of 5V at up to 3A nominal or 5A max! Please note: Cable colour may vary. Pic is for illustration purposes only. Use this HAT to power a Raspberry Pi 3 B+ via an Ethernet cable, removing the need for a separate power supply! 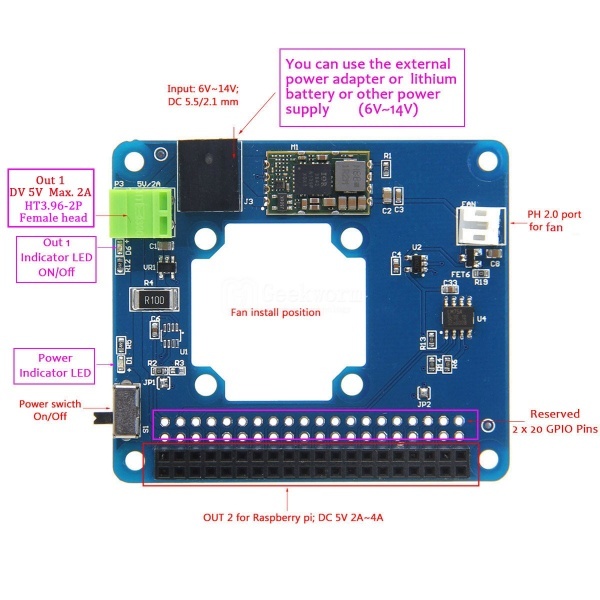 An ideal solution for embedded and IoT projects. Finally a UPS HAT is available with 5V 3A Power Backup for even the most demanding Pi 3 set ups. Due to the voltage drop caused by the Raspberry Pi, it is recommended to input a minimum of 6.5V to receive a stable 5V output. Anything lower than 6.5V will result in a low voltage warning on the Pi. This is the Hackable Raspberry Pi Power switch which was successfully funded on Kickstarter in April 2017. The Hackable Raspberry Pi Switch features an on board and removable Attiny85 Arduino Development MCU, which means the switch is both Smart and Hackable! 4. Once halt state is detected, cut the power to the Pi. 3. Built-in temperature sensor, with active cooling fan, you can control flexibly the ON/OFF of mini fan via I2C command and GPIO programming. 4. Support hardware pwm to control fan. 5. Cooling Fan can be replaced. 5 built-in USB port, suitable for charging 5 devices at the same time. We have made the Pi Supply Switch a self-solder kit which is quick and simple to put together ? even for an absolute beginner to electronics. This means as well as being a nifty little bit of kit to manage your Pi?s power, it is also a great intro to electronics and soldering. As you can see from the pictures the input and output of the switch is fed by a standard USB connection. We even provide you with the USB cable. Once soldered together, is essentially ?plug-and-play? with your existing ?wall wart? power supply unit. We have even packaged the circuit into a small profile so that it fits neatly into your workstation. The Pi Supply Switch is an essential piece of kit for all Raspberry Pi users! The Official Raspberry Pi PoE HAT is completely plug and play, and there is no software required in order for Pi PoE to provide power and Ethernet directly to your Raspberry Pi. The HAT also includes an integrated 25mm x 25mm fan, to keep your Pi nice and cool. UPS PIco HV3.0B Stack 450 Plus is an advanced uninterruptible power supply for the Raspberry Pi A+/B+/2/3, that adds a wealth of innovative power back-up functionality and development features to the innovative microcomputer! The UPS PIco will automatically shut-down your Raspberry Pi if there is a power failure, and can be set to automatically monitor and reboot your Pi once power has been restored! 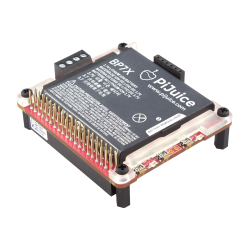 The UPS PIco HV3.0B Stack Plus features a 5V 3A output, designed for use on the latest Raspberry Pi 3! Extended Voltage Input 7 - 28V DC - Protected with Zero Voltage Drop Inverse Polarity Protection, PPTC Over-current, and ESD. Ideal for Cars, Trucks, Buses and any industrial high voltage applications. Dynamic Power Tracking (DPT) - Charges the battery according to available input power from 100 mA - 1200 mA. DPT checks the input current every second, and adjusts the charging current based on this value making it ideal for Solar Panel applications. 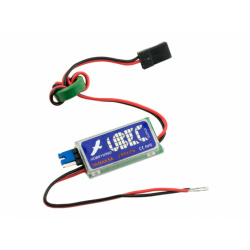 Dynamic Power Tracking (DPT); charges the battery according to available input power from 100 mA - 1200 mA. DPT checsk the input current every second, and adjusts the charging current based on this value making it ideal for Solar Panel applications. We found we had to follow the steps in both the below links in order to get it to work.